There comes a time when you just go all out. Whether you are in the right mindset or not, you just go for it. You don’t think about cost or consequences thereafter. You just close your eyes and hope for the best. 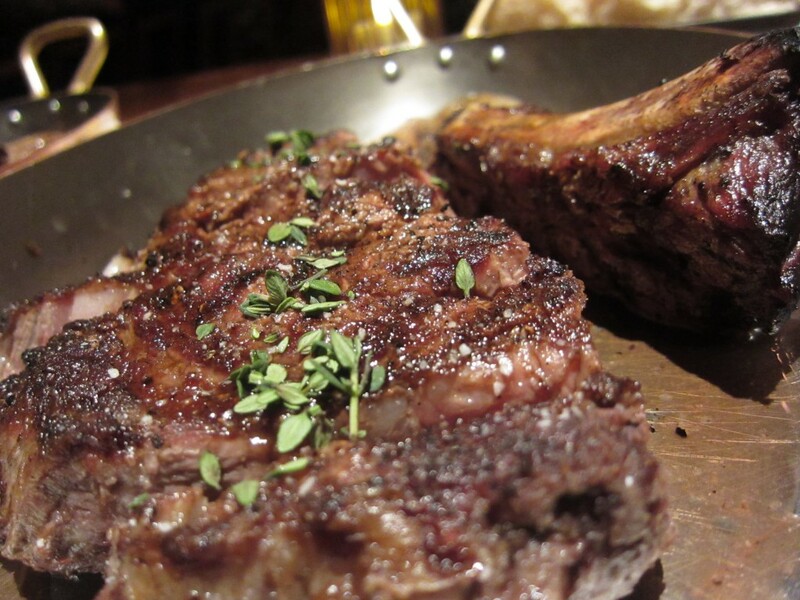 With Tom Colicchio’s Craftsteak at the MGM, I did just that. I knew it was way over my budget, but I just went with it. Maybe it was the Vegas air and wanted to live the Vegas dream of fine dining. It’s not like I won big at the craps tables. I just wanted to “do Vegas right” and dine like I never do. It’s not everyday you get a meal with all of the fixings and trimmings — maybe when Christmas or Thanksgiving rolls around, but even then, nothing like this — nothing like having dish after dish after dish, all laid out in front of you. This indeed was something special. Expensive, but special. Las Vegas is all about grandeur. Excess of everything with a splash of flashiness is what everyone expects in Vegas. 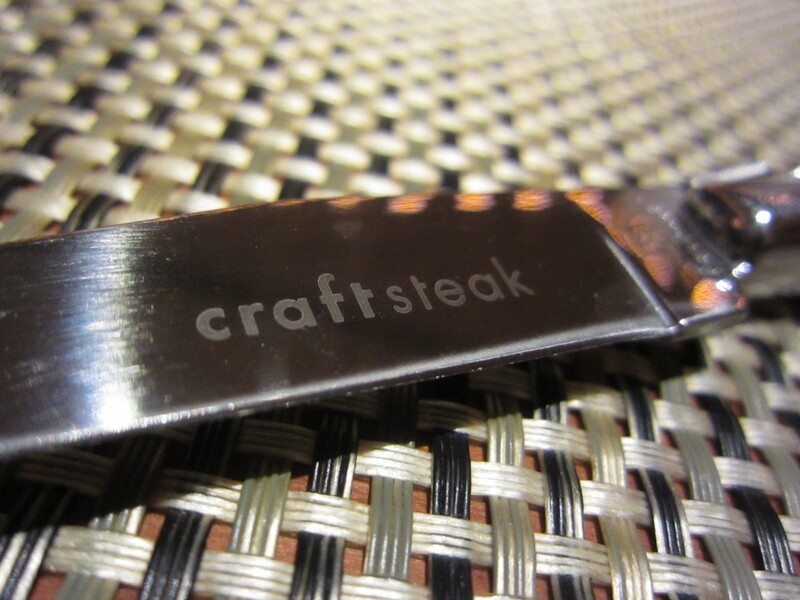 Craftsteak, with the interior design and cuisine is a bit dialed down. Some may see that as something negative, but this was executed with excellence. The food and the design exuded a sense of humble refinement. A kind of “my food doesn’t have to be extravagant” to be Las Vegas enough, kind of attitude. 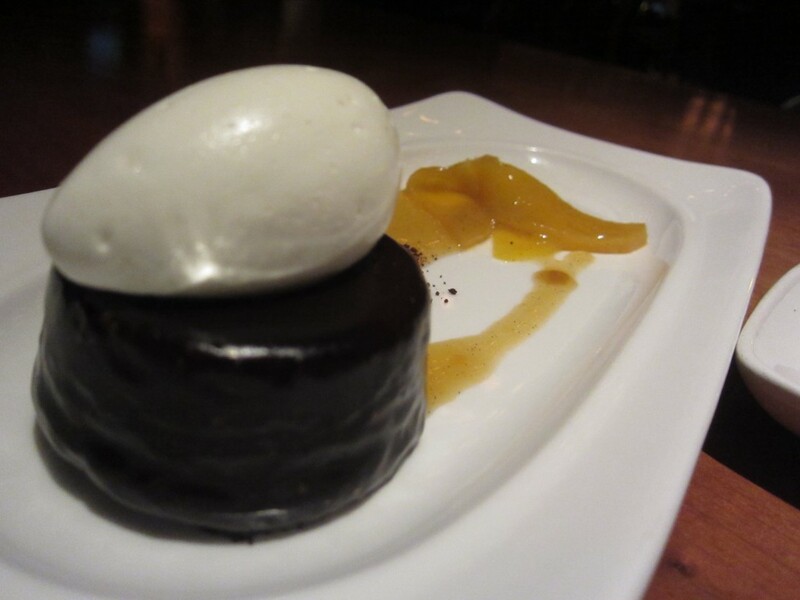 Tom Colicchio’s menu is simple, and does it elegantly. 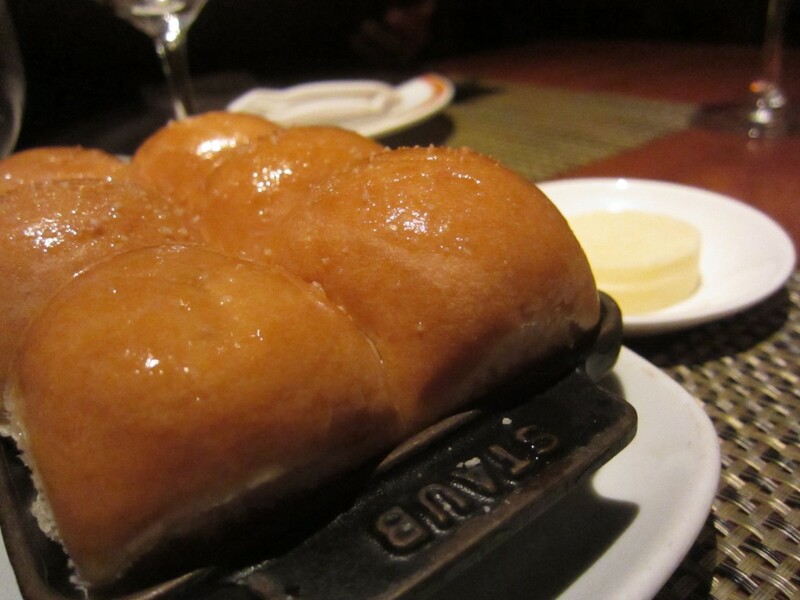 The bread and butter was served in a not so normal cast iron pan. The bread was soft and warm — the butter was delicious as it should. Appetizer: The Lobster Bisque was near perfection. The way they did it was unique and interesting. The soup bowl had nothing inside expect spices and chunks of lobster. The waiter then poured in the hot bisque inside the bowl. The taste was amazingly delicious. Lobster chucks filled every spoonful. 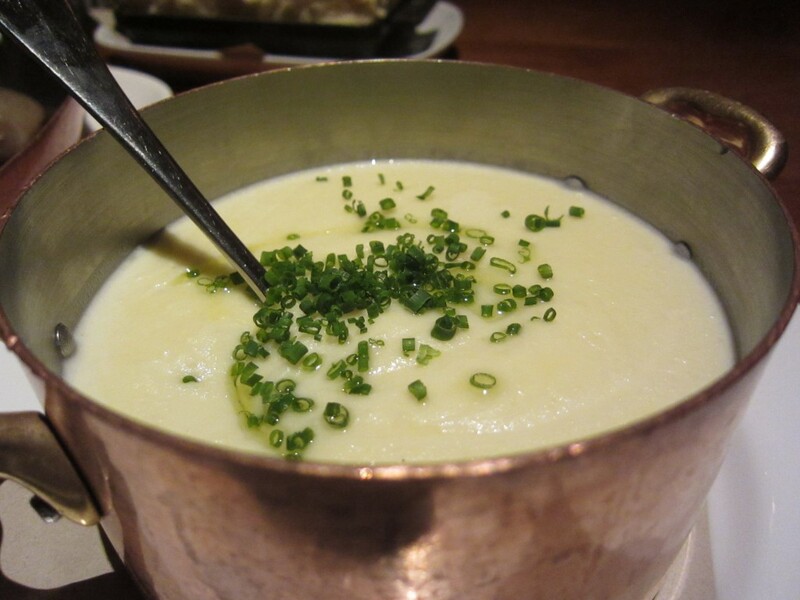 The bisque was rich and creamy and full of seafood flavor. The Lobster Bisque itself was well worth the experience. 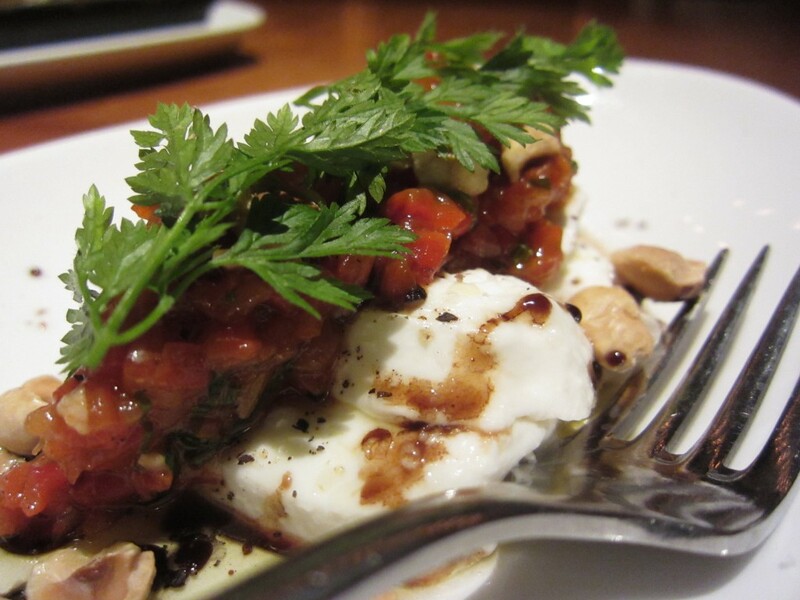 Appetizer: The Itallian buffalo mozzarella with hazelnuts was mellow. Not robust in flavors, the taste was a bit subtle. The tomatoes and balsamic helped round out the flavors. The mozzarella was fresh as can be. 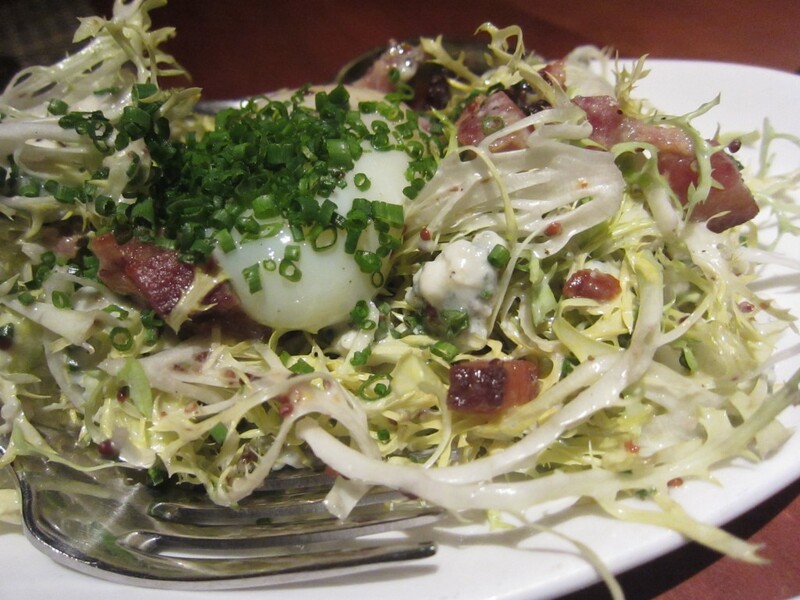 Appetizer: The Warm Frisee salad had some intense flavors going on — a great thing. It had a farm egg, smoked bacon, mustard seed, and blue cheese. The bacon and blue cheese were rich and fatty, and the mustard seed helped cleanse the palate. Intense tastes and bitter greens made this dish amazing. 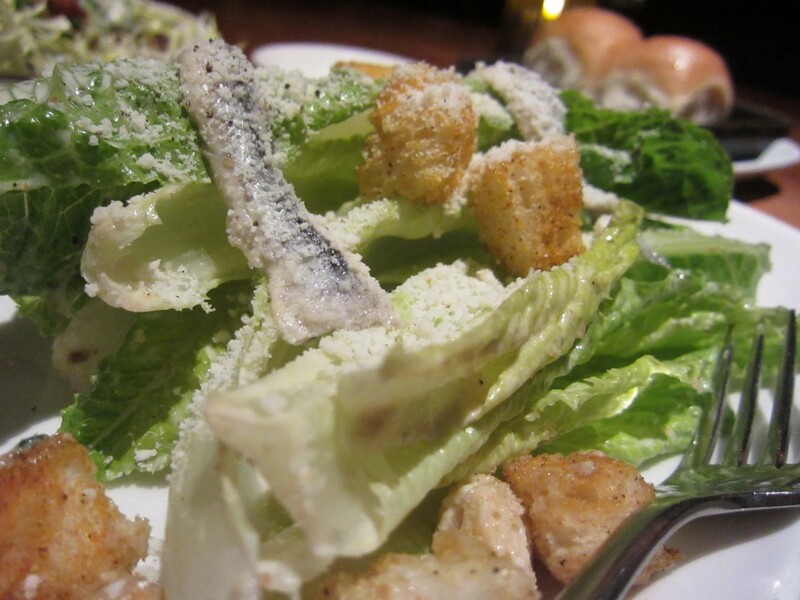 Appetizer: Their Caesar salad was a bit bland. I dug the pickled anchovy though. The Ribeye is one of my favorite cuts of steak. Mine was 16 oz, bone in, cooked to a medium rare. Perfectly cooked, I couldn’t ask for a better piece of meat. Each bite was perfect texturally, but I felt it lacked seasoning. 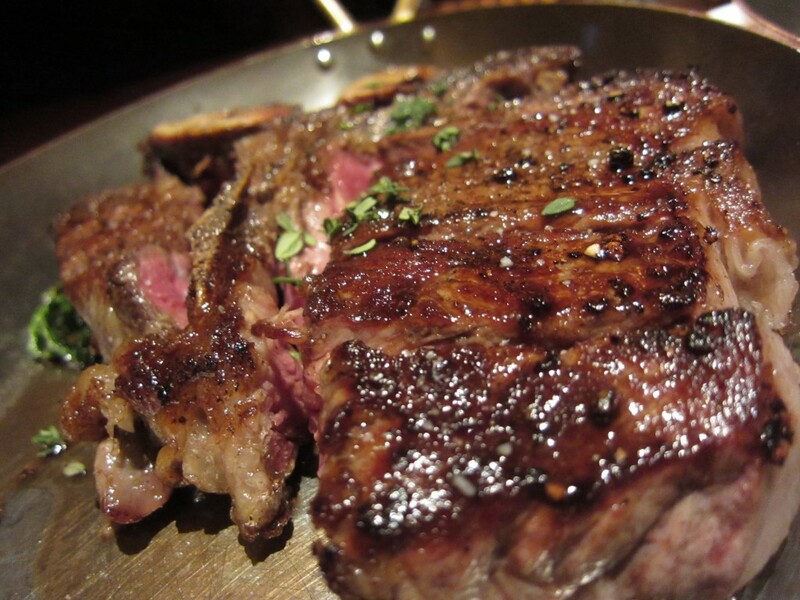 Maybe the rich flavors of the appetizers killed my taste buds, but the Ribeye could have used some salt. Heck, this might be cheating, but I would have loved some blue cheese on the side. Translation: I love blue cheese. 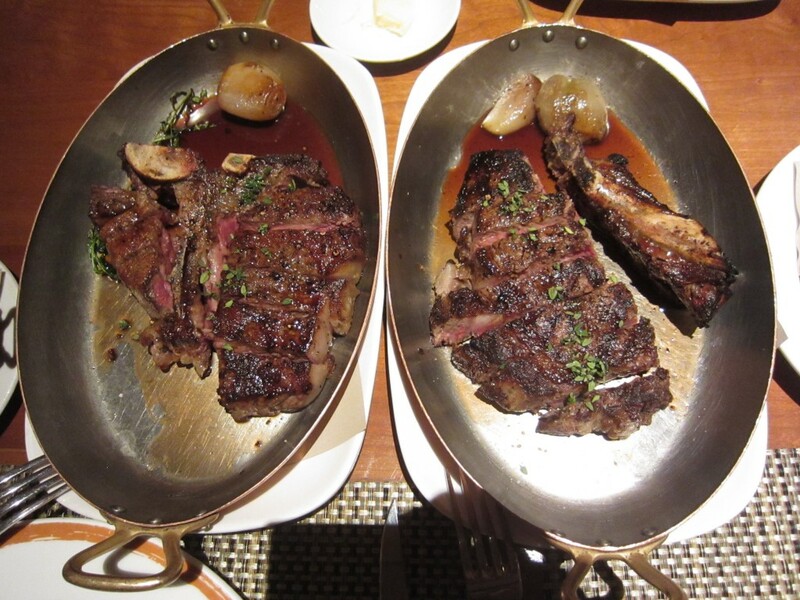 Interestingly, the 22 oz T Bone had a better flavor for me — it must be the dry aging process. It had a rich beef flavor that was missing from the Ribeye. Still cooked perfectly, the meat was succulent and tender. Side: The yukon potato puree was amazing. It was such a simple dish. It was rich with a lot of butter and cream. The taste was like no other. It was smooth and delicious and the chives on top gave it enough zest to keep me coming back for more. 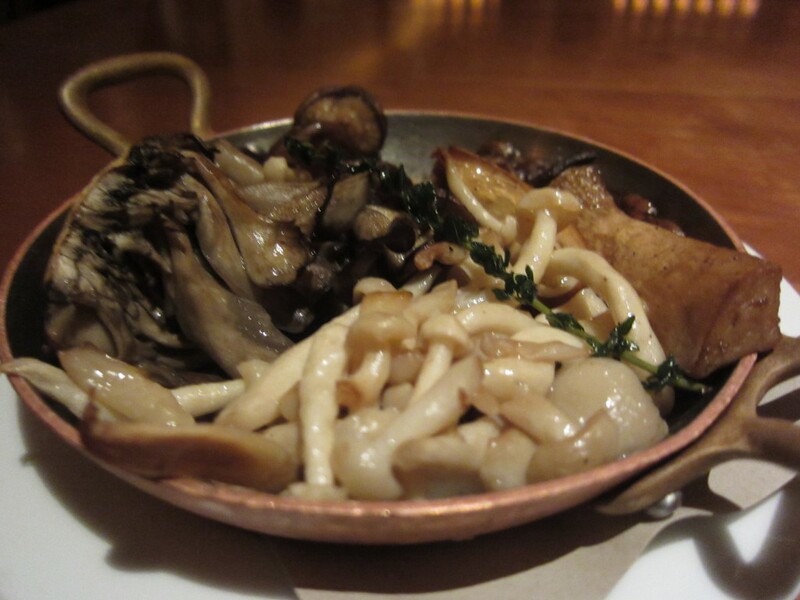 Side: The assorted mushrooms were a perfect accompaniment to the meat. What’s better that meat and potatoes than adding mushrooms in the mix? They each had a different bite to it. 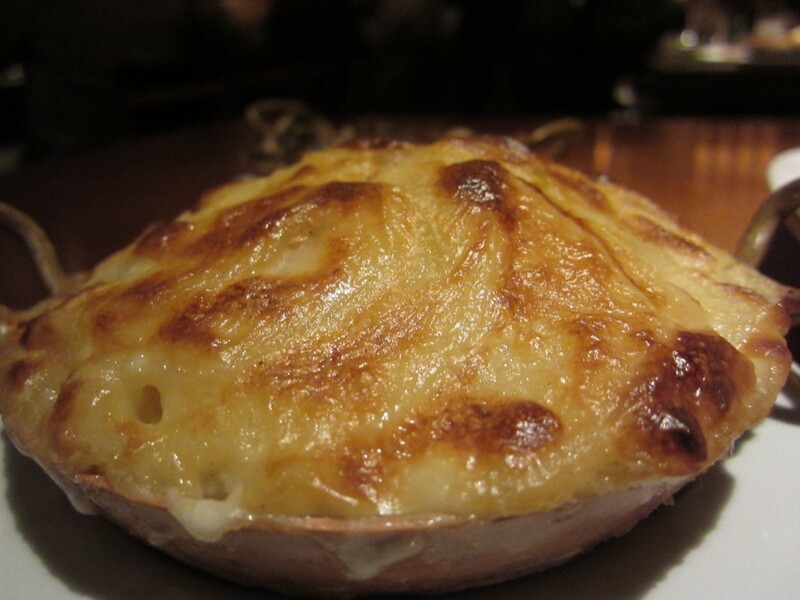 Side: Another potato other than the puree was the potatoes gratin. The potato slices were mixed in with a roasted garlic cream. The taste was perfect with the meat. Dessert: I thought monkey bread pudding was a funny name for a dessert, but the taste was addicting. The bread was sweet and dense, kind of like a cinnamon bun. 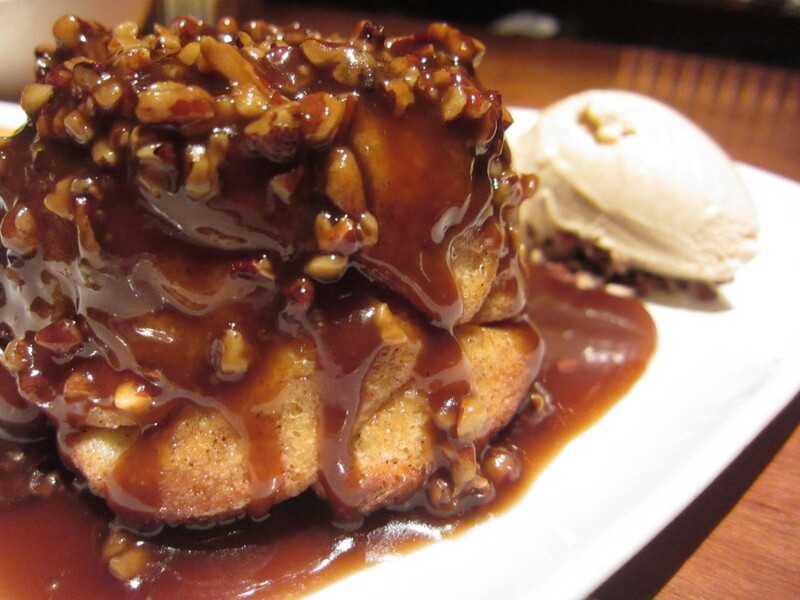 The rich caramel sauce with the bread pudding and ice cream all mixed well perfectly. 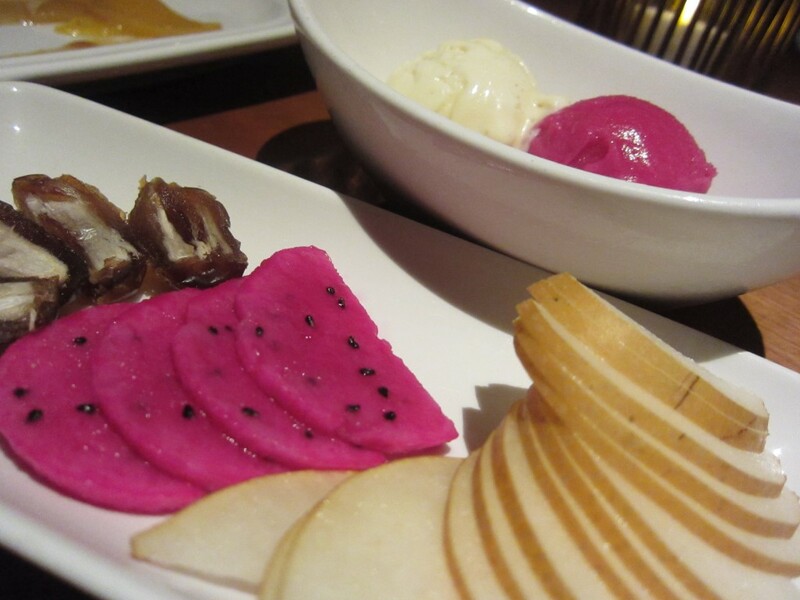 Dessert: I always see cactus pear sorbet on TV, and always wanted to try it. I was pleasantly surprised, and I fell in love with it. The taste was very mellow and not too sweet. The color of the sorbet was vibrant as was the flavors. The fruit slices, candied dates and dragon fruit were mediocre. My favorite fruit is the Asian pear — I like it because it has a nice bite to it with a lot of juice. The pear sliced wafer thin gave it no bite and not a lot a moisture. The dragon fruit was exotic, and taste was mild. None of this fruit mess. I am in Vegas — more Monkey Bread Pudding Please! Dessert: The most decadent dessert was the chocolate moose. The chocolate in this was super chocolatey and dense. The vanilla ice cream was as pure as can be, but the peaches on the side didn’t excite me. 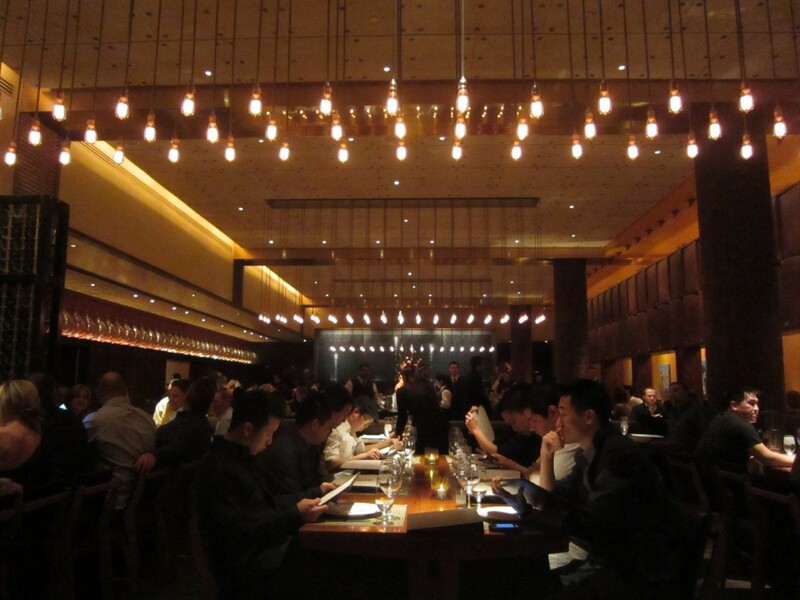 Tom Colicchio’s steakhouse was in the end, worth it. Plate after plate, dish after dish, the food seamed endless. The impeccable service and comfortable seating arrangements made this long endeavor a treat I will never forget.